Our range of products include 4 color 4 station manual printing machine, double bed pneumatic flat heat press machine, automatic heat transfer press, accu-stretch pneumatic screen stretching system, screen drying cabinet and maxicure textile dryer. 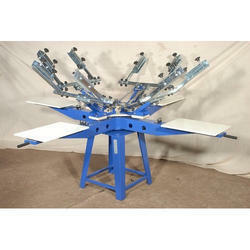 Print Area 30" X 40"
We deal in Double Bed Pneumatic Flat Heat Press Machine. 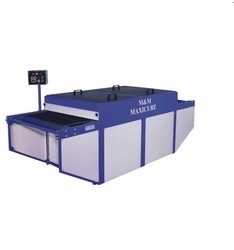 With the thorough knowledge of the varied aspects of the market, we have been able to provide the customers with a commendable Manual Chest Printing Machine with High Standards. 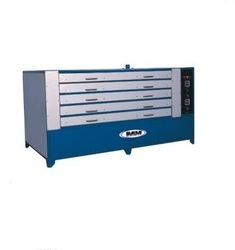 Manufactured in European standards with high precision conformation with the industry set guidelines at our vendors premises, the machines offered by us are developed utilizing quality-approved raw material. The screen drying cabinet is fully enclosed type. dnes the emulsion coated screens in dust free condition. The features like Hot air circulation system, Built in heaters, Heavy insulation for minimum heat loss. autotimer ensures high quality drying results. 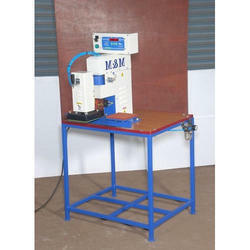 We deal in Maxicure Textile Dryer. 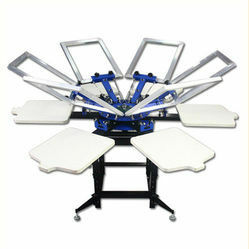 We are offering Silk Screen Press to our client.